St. Vincent de Paul Catholic School staff in partnership with parents and parish families works together to instill the values of Jesus Christ and the Roman Catholic Church. Through a challenging education curriculum we generate outstanding academic achievement and expect students to be confident leaders with a strong, positive and moral impact on the community. To accomplish this mission, we provide a spirit of cooperation shared by each of the three major groups of our school family: school faculty and staff, parents, and students. The school recognizes the need for each group to accept the responsibility of openness to one another – sharing ideas and growing together in mutual respect and encouragement, thus building a valuable academic experience within a total faith community. St. Vincent de Paul Catholic School offers an educational program of academic excellence within a Christ-centered community. The school exists to provide its students with a strong foundation of academic and life skills that are developed and nurtured within a faith-filled environment. 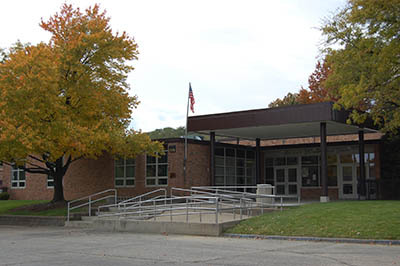 St. Vincent de Paul Catholic School respects the uniqueness of each child and the diversity of talents within its school family. The school devises curriculum to meet the needs of each child – challenging each student to his or her full potential. St. Vincent de Paul Catholic School strives to develop the many dimensions of a child. In the area of spiritual growth, the school, working with the parents, provides each student with the opportunity to grow in their faith and thereby develop a sound moral basis for life. In the area of academics, the school, working with the parents, provides each student with the opportunity to develop content knowledge, social responsibility, and a sound basis for future academic success. Gospel values permeate the total curriculum. This integration of faith is an important factor in developing programs to meet the needs of the students intellectually, physically, socially, and emotionally. The school office hours are 8:00 AM – 1:00 PM Monday through Friday in June, July and August.